Flam responds in KSJT comments? Below is a link to a very poorly written, intellectually depressing and kinda mean press blog out of MIT. Flam does not distinguish Dartmouth’s Markul Sharma et al. from the original Firestone authors despite the point of her lede. Later she updates her blog to correct another less significant — but also easily discoverable — mistake. 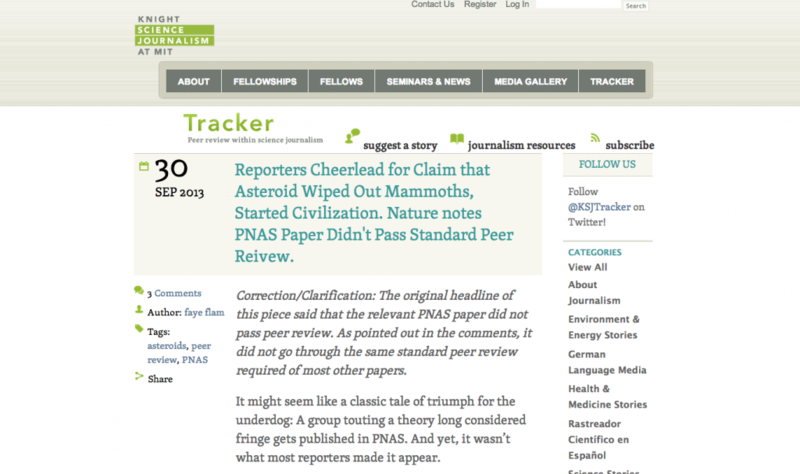 Can science journalism (about Science Journalism!) get any worse?